My Mississippi writer friend gave me David Shields’s new book. Interesting, I said. I wasn’t sure I would read David’s new book—I looked at it askance, then I put it back in its wrapping paper. I was surprised they still made hardcover books. I took the book out a few weeks later and read some pages. 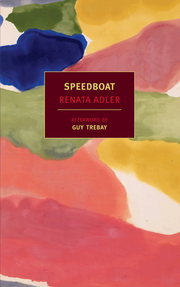 Another book, Speedboat by Renata Adler, kept being mentioned and this was funny because the same book had been recently written up in many articles as it had just been rereleased. I read the last line of Speedboat in David’s book. It upset me in a different way than the passages in David’s book upset me. I called David Shields to ask him why he quoted the last line but his answering service said he was gone for the week. I read a few more pages and then I walked to the bookstore, presenting the owner with David’s book. He offered me money and more money if I traded it. I pulled Speedboat off the shelf and he told me it’s funny that everyone is buying Speedboat and not her other novel, Pitch Dark, and another employee said Speedboat was written first and I said, Yes and everyone is talking about Speedboat, including David Shields in that book, as I noted how the owner had put Pitch Dark on the more prominent shelf, almost hiding Speedboat to sell more copies of the former. I had also come to the bookstore to set up a reading for my Mississippi writer friend as who would soon be going on a tour for a new fictional work—if my Mississippi writer friend asked about David’s book when visiting, I would say I had loaned it out. But I brought up talk of a reading at the same time we were talking about Renata Adler and I told him Adler would be reading in Brooklyn at another bookstore by my home and the owner said, You can certainly set up a reading for Renata Adler here, and I looked at the other employee for help, but he was shelving a copy of Louis Zukofsky’s Shakespeare book which was infinitely more interesting and I left the store needing to produce Renata Adler one week hence. After I searched the internet, because I always search the internet when I’m worried, I again called David Shields and told his answering service I needed to talk to him. Then I called the New York Review of Books (Speedboat’s publisher) to get in touch with Renata Adler, but they told me she was only doing two events in Brooklyn and that they would forward an email to her agent but couldn’t promise anything else, and if I really wanted to talk to her I should contact David Shields, and why hadn’t I gone to their first joint author event, it was advertised on facebook. I told them I had left facebook and they told me they’d like to leave facebook, but facebook was integral to the publishing community and if you are an up and coming writer, as you sound like you are, you should really consider facebook because you’ll get a wider audience. I told the New York Review of Books that half of all internet hits are made by robots, but they hung up. Though I have a cell phone, I still waited by my phone for a few days. I read some of Speedboat and looked at the internet. Then I joined facebook again and messaged David Shields. He replied that he’d be reading with Renata at The Strand in a few days and how did I like his book. I came away with Speedboat, I told him and he expressed his happiness in kind-sounding words, though he didn’t accept my request for him to become my first friend. When I closed the internet I called my Mississippi writer friend. You may need to read with Renata Adler, I said, and my Mississippi writer friend said, That’s funny because she wrote the book that David Shields likes a lot, and I agreed it was funny. And so I went back to the bookstore to buy David’s book back and the owner asked why I would want a book that I’d traded in. At the Strand’s rare book room, I found a tall, wiry, bearded, and bespectacled man who looked like an author but was not standing outside the room, along with a small line of people. When I came to him he told me I needed to buy Speedboat or How Literature Saved My Life to get into the event and I told him and I had already bought both and produced them. No, he said, you have to buy them from The Strand bookstore. But I’ve bought many books at The Strand bookstore. I’m sorry, those are the rules. But it’s very important I get in there, David Shields invited me over facebook. Everyone gets invited, you aren’t so special. But he sent me a personal message. Then he should have told you you needed to buy a book to get in. Is that my fault? I said. It’s certainly not my fault, he said. I called to David and when that didn’t work I called to Renata, yelling their names. David Shields had not entered the room because he soon came up behind me. Let him through, the Strand employee called. I had to hit this Strand employee and I did. Then I explained to David Shields who I was, what I was after. He said he’d let me in, but I needed to perform a penance for hitting the Strand employee. I want you to copy out Speedboat in its entirety. But I don’t have time to do that. I have many personal writing projects. 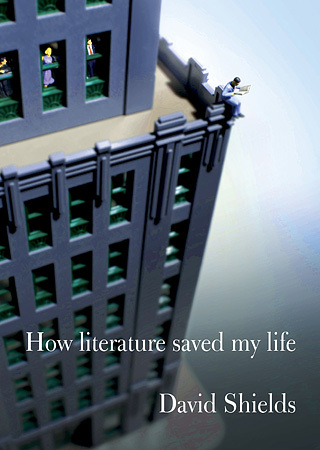 Just make me a better person by making a better book. Greg Gerke’s work has appeared or is forthcoming in Tin House, Film Comment, The Kenyon Review Online, Denver Quarterly, and Mississippi Review.